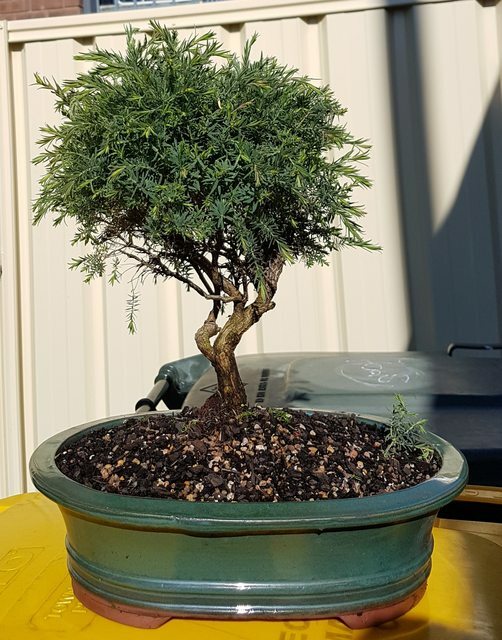 New to AusBonsai and I've been keeping bonsai for 2-3 years now. 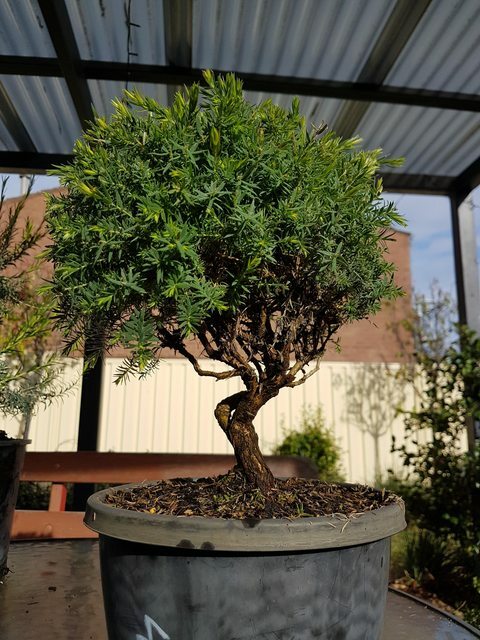 Australian natives are definitely my biggest inspiration and where I hope to make the biggest contribution to bonsai culture. My first Mel as of when I picked it up in Feb this year, unsure as to what species it is. 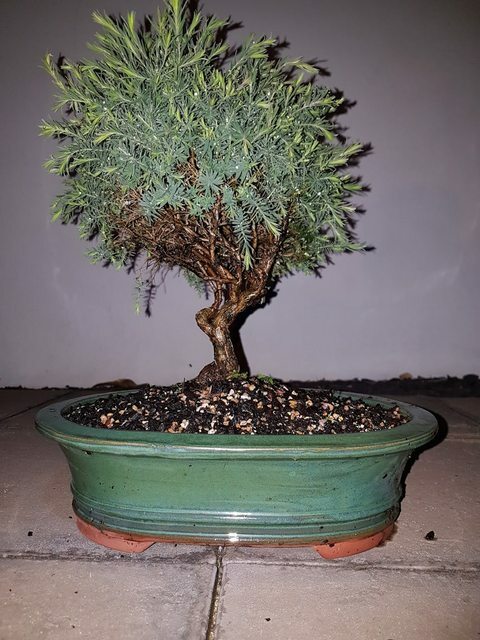 Repotted this past weekend to work towards a slanted / windswept form. A recent pickup M. Incana with a very full head of hair and what I think is some fantastic shape to the branches. Will be thinning out the top to let more light in to inner branches. 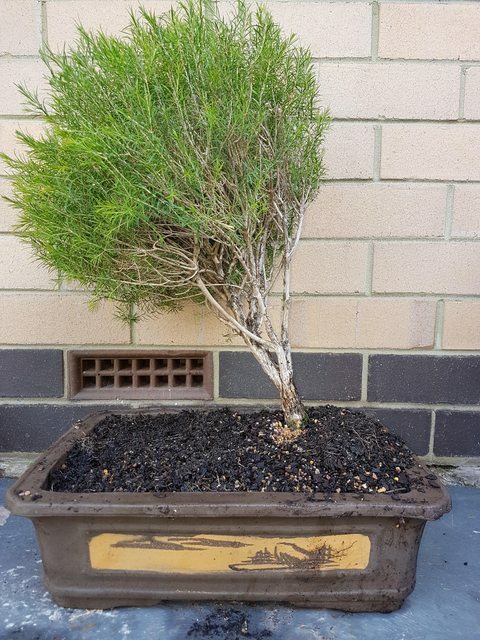 Apart from that I think it's likely ready for a bonsai pot as it stands. Was told this is a M. Cuticularis but am uncertain. It has a very smooth and steady curve to the trunk and could make a good upright tree. A proper Cuticularis is a goal tree of mine, seeing the gnarled forms they took down in windswept Esperance was what inspired me to look at Melaleuca in the first place. If that first one was in Eastern states I'd guess M. linarifolia but you sandgropers have lots of species that we don't often see over here so could be some other species. You will need to do some serious pruning and wiring to make that one into a good windswept tree but I'm sure it will look great. It must be a bit warmer in Perth. I don't usually start repotting natives until November over here. They seem to do better if root pruned while they are actively growing. I'm looking forward to seeing these develop. Welcome to the forum, and thanks for the photos. Hope you enjoy the journey. I'm interested to see how your mels go this spring/summer. sulked and didn't start growing until early autumn. Could be different in Perth I guess. Hopefully I wasn't too early on the repot, warmer weather has started to arrive though. I could see a bit of new growth but mostly saw the pretty compacted soil in which it was living. Generally the tree was doing pretty okay as a sort of Broom style, but the long mostly plain branches didn't seem quite right and overall it just seemed a little dull looking. 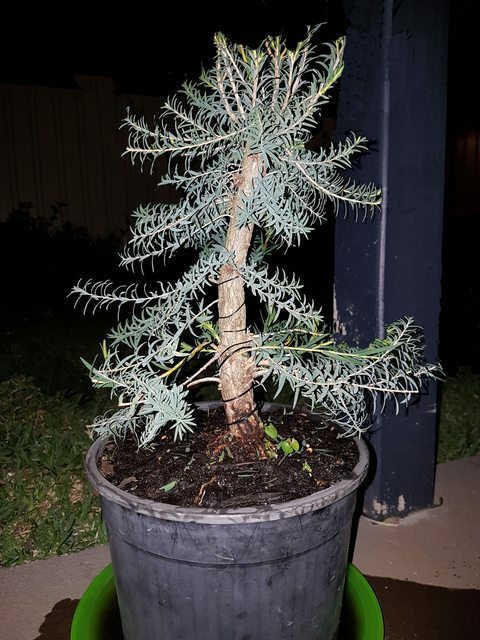 Look for a future post requesting advice on the heavy pruning once it's recovered and settled well. 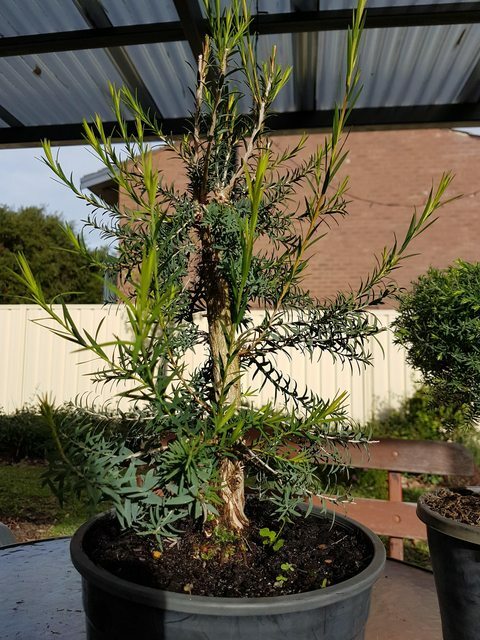 I also remembered that the last tree in my post was actually said by the seller to be a Swamp Paperbark, rather than a Saltwater Paperbark Cuticularis. Below are a few photoshopped pictures of the tree, hiding the newest season's growth to show the existing branch structure. 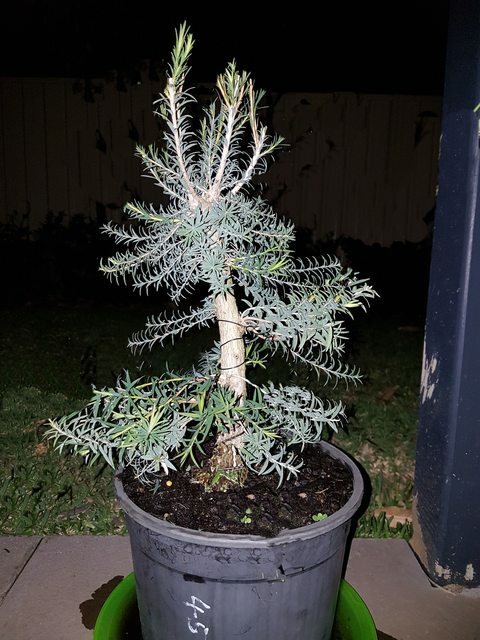 At first I didn't really take a good look at the tree, I saw the paperbark and just bought it straight away for the future potential.Last night I let my eyes focus on just the paler green foliage from last season's growth and realised that there actually is some order to the tree, rather than haphazard growth all over. 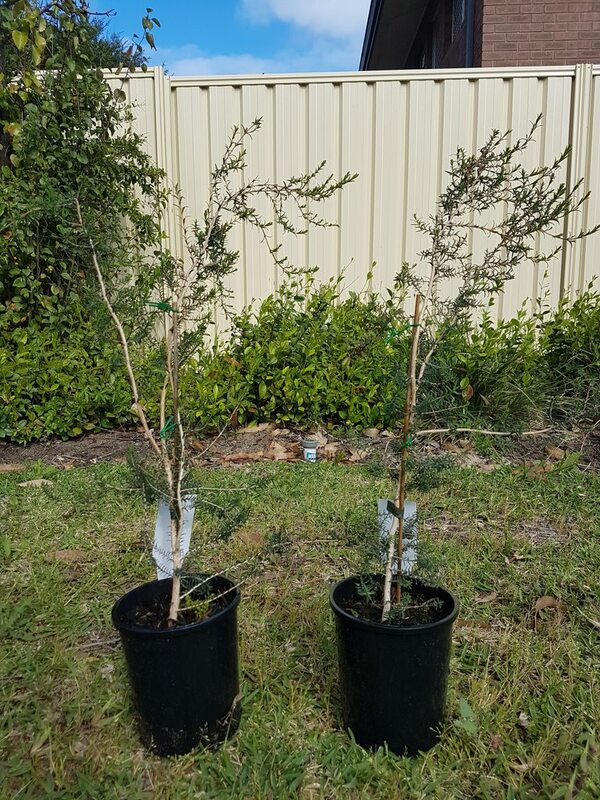 Bought three Mels from a native nursery to develop into pre-bonsai stock. 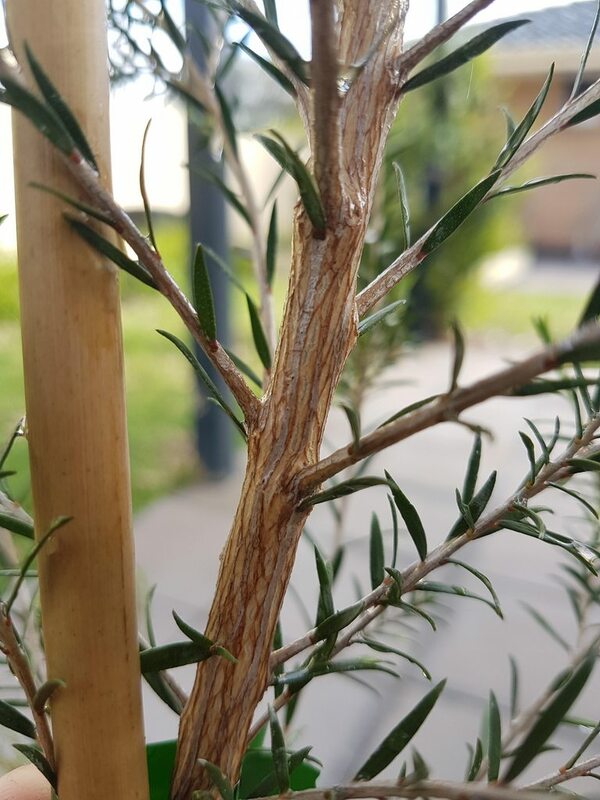 I just noticed that the lighter grey coloured lines on the trunk seem to be runing to the bottom of the branches - Are these veins of phloem or something to that effect? I also grabbed these two M. Cuticularis which will be growing out for a few years time I imagine. Patience is tree... I mean key. Pale trunk and nice small foliage. Wild trees display very nice pale papery bark, branches have tortuous growth habits and leaves tend to be 1cm or less. Stiff branches could bean difficulty wiring though. When it comes to growing pre-bonsai stock such as this, I imagine that I'll want to let them grow almost completely freely for some time, to achieve trunk and nebari growth first. Is it worth actively directing growth with wire or guide-lines to try and add movement to the trunk or branches? 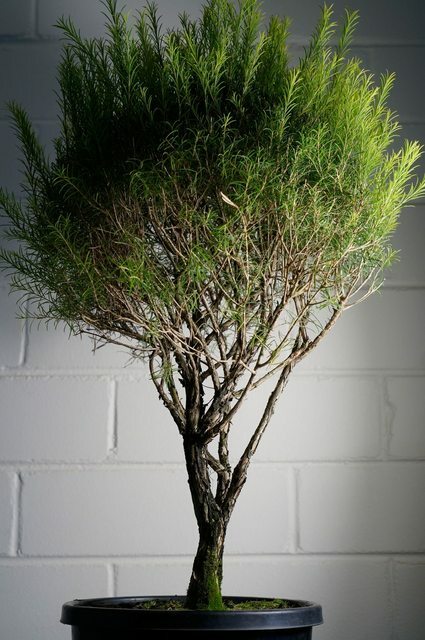 I've heard that the best results can come from determining a tree's natural growth habit and developing it in a way that works WITH rather than against that, but at this early stage manipulating the growth by wiring the tree into shapes that it doesn't want to grow into naturally could be counter productive? In a plant name 'syn' is abbreviation for synonym or alternative name. Many plants have been reclassified and given a new name when it is discovered that the old name is incorrect or the plant in question is a new species. You'll probably find this species used to be Mel parviflora but the new true name is now known to be M. pressiana. The stripes on the bark are just different colours of the bark. Probably due to older bark splitting as the trunk thickens and new bark grows underneath. Interesting observation that they seem to run to branches. I guess that's because of the way they grow. 1. No pruning then cut back later - these trunks lack taper and character but they can still produce good trees. Only used on species that back bud on old wood reliably. 2. Grow and prune - Allow free growth for up to a year then cut back hard. 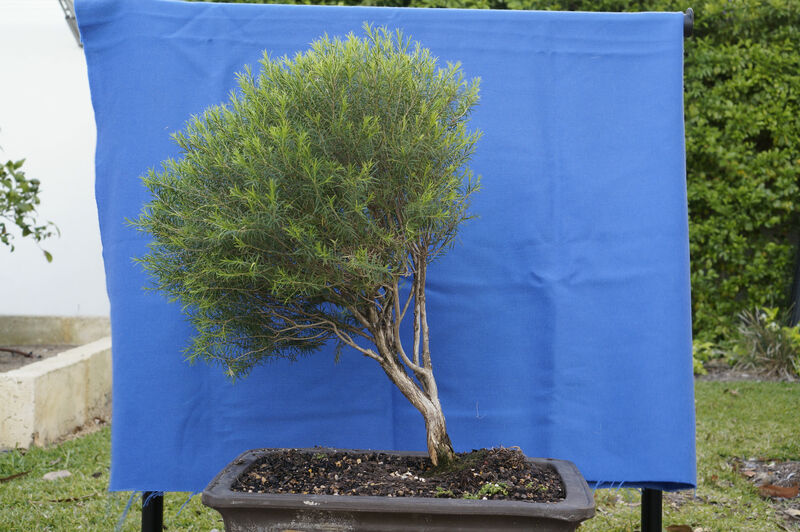 This method results in lots of leaders so you can selectively prune to leave a tapered trunk and often good bends. Scars tend to be smaller so heal up quicker. Trunk growth is not much less than above. Essential to use this method with trees that don't back bud well. Also the prune often development method. Growth is slower but trunks are far more refined and often free of scars. 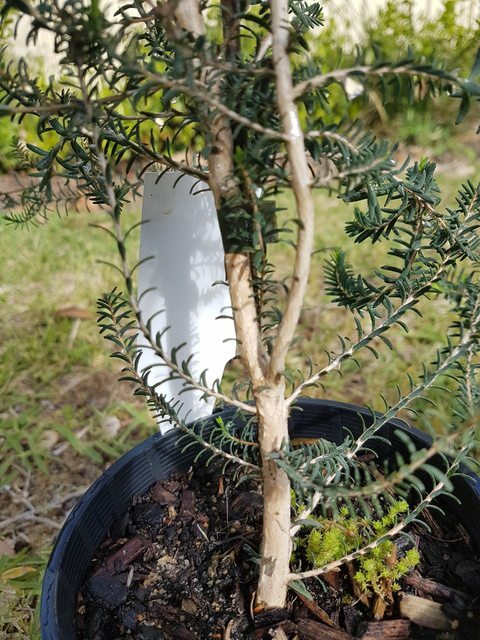 Some growers also prefer to wire and bend very young trunks to get some basic movement before growing the trunks on for size because you can't bend them after they get fat so feel free to wire and bend as you see fit. You'll need to decide which you are going to try. Repotted to a new front. Thought I'd take some better photos in the sunshine this morning. Closeup of the trunk and surface roots, I didn't dig too far down to expose all of the thicker surface roots this time. 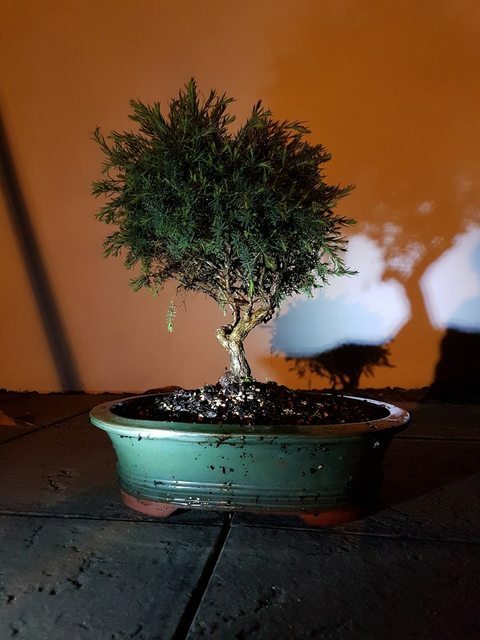 This species seems to produce a lot of fine roots rapidly and the caretaker at the bonsai shop as such strongly recommended repotting yearly. I'll be able to bring out more of the nebari next time. One thing he stressed was to water twice a day for the first week after repotting, while a lot of repotting guides online and in books seem to say that not overwatering is crucial. 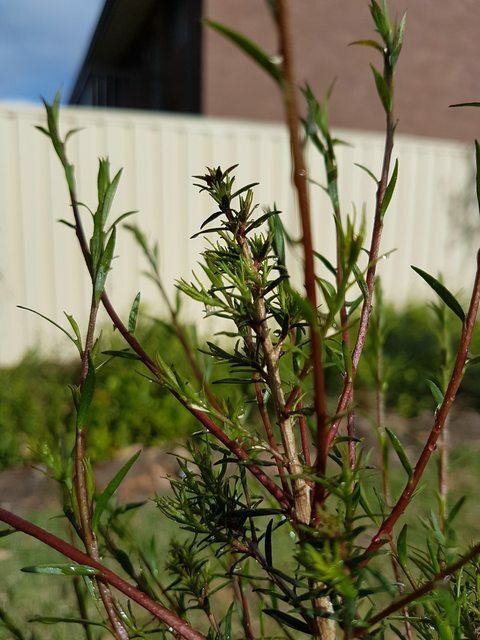 Is his watering twice advice possibly specific to the melaleuca and leptospermum? Or as I noticed a lot of slow release fertiliser pellets in his soil mix, could the frequent watering be to ensure that excess fertiliser and nutrients are washed out of the pot? 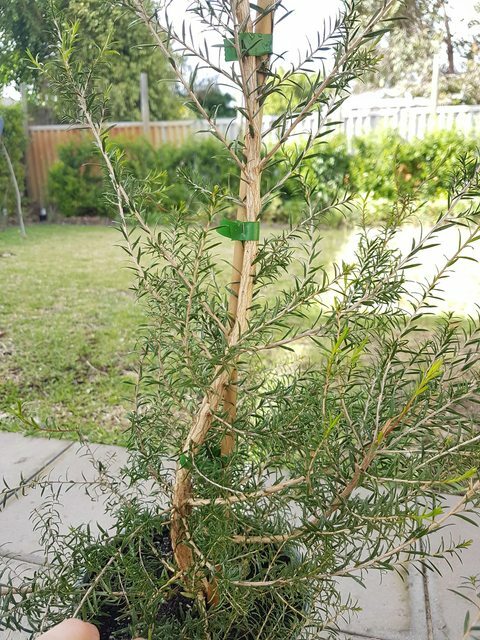 Following the water twice a day routine after repotting the Melaleuca in my first post seemed to serve it well, I can see a lot of new brightly coloured leaf buds appearing and had no dieback or other signs of stress. Last edited by Mevans on October 9th, 2017, 3:13 pm, edited 1 time in total. Someone mentioned something similar to me at Canberra Bonsai show over the weekend. 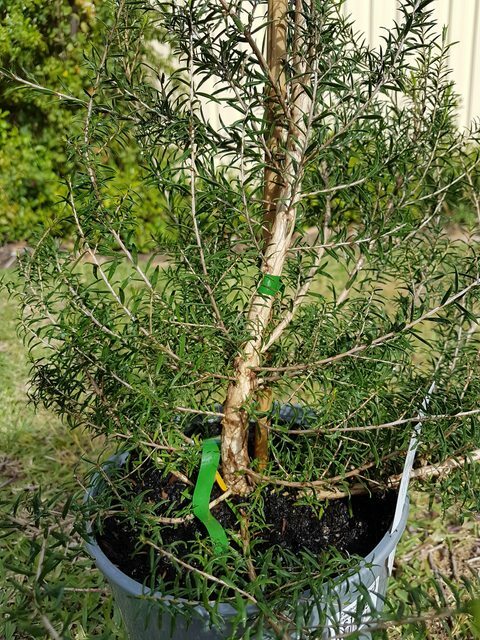 Better results when newly repotted trees are kept in a water tray for several weeks after repotting. Sounds like it is more about keeping the roots wet as they recover from pruning. Note that some Mels are dryland species and don't seem to like being too it so it probably pays to know the natural habitat of your trees. Thanks for the reassurance I'll report back with my results. There's a lot of dense foliage for branch selection when it comes time for styling. One possible option is to follow the lines of the branches, the sort of 'claw' shape angling up and to the left. I wasn't quite happy with how my repot turned out (did a bad job wiring it into the pot as well) so did a quick repot yesterday. Discovered a LOT of new root growth in the 5 weeks since the initial repotting which was a good sign, I would say this Mel was very happy kept on the moist side after repotting. 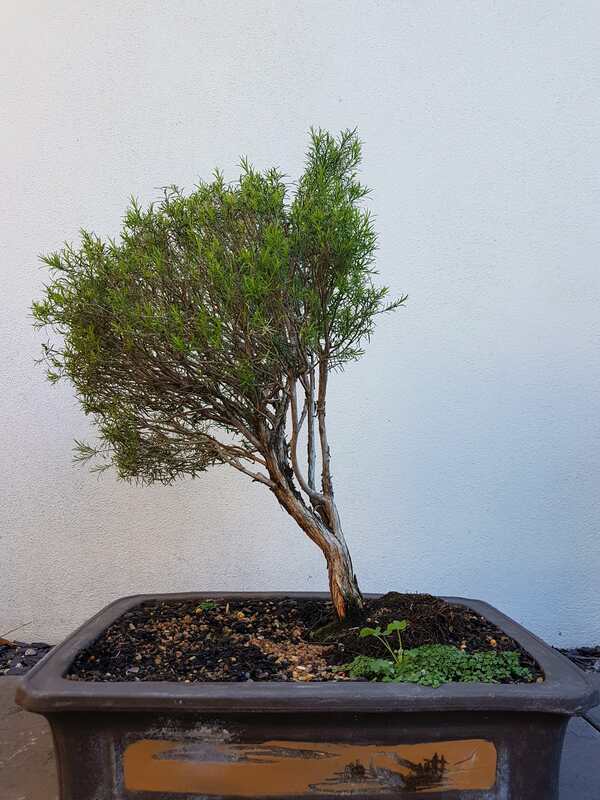 Have planted a small amount of corsican mint in the pot to eventually serve as a ground cover / companion plant at the recommendation of a local bonsai nursery. Teased out and trimmed the bare minimum of roots needed to get the root ball to sit nicely at the adjusted angle/rotation to avoid disturbing the tree as much as possible. I think the Branch and trunk flow has been improved. As an aside I believe this tree might be a mel. 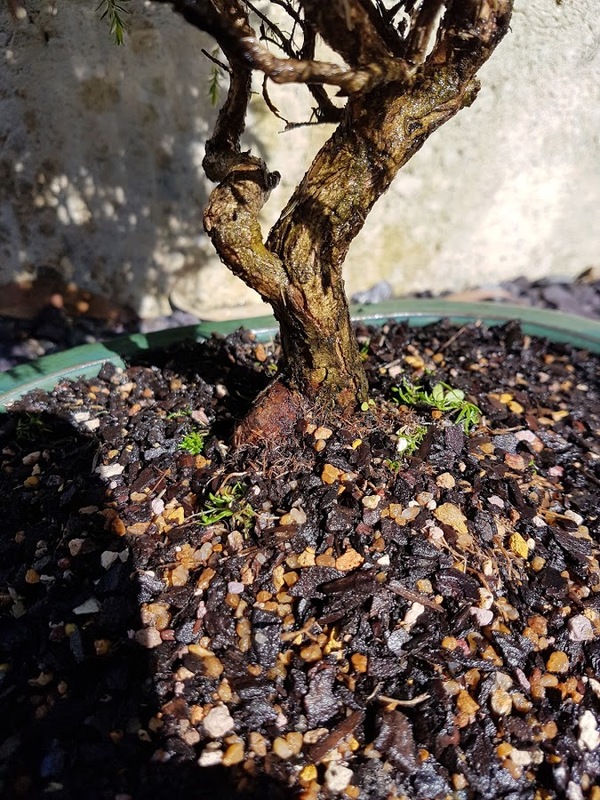 Armillaris 'Green Globe' or Dwarf Bracelet Honey Myrtle? There are no flowers to help with ID. 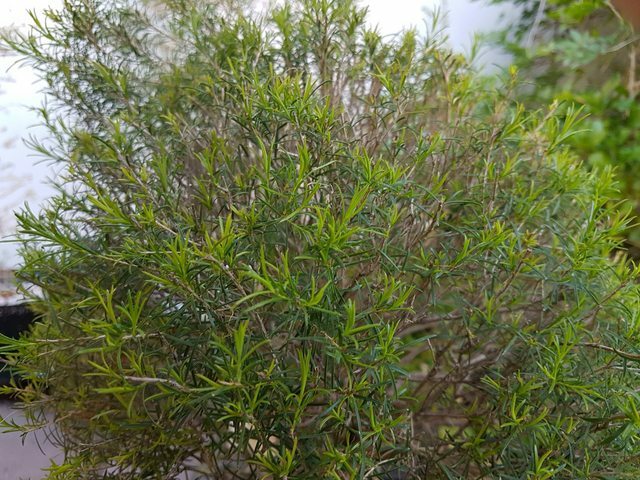 I spotted a large 2m tall shrub in a neighbours garden which looks very similar but again has no flowers on it either. I pruned this one back to just a few leaves all over and it has erupted in new growth. I've also earmarked one of the first branches (the vertical branch second from the right) as a sacrifice branch to help with taper. I've hung a small ring of spare bonsai wire around it to remind myself that it's a sacrifice, and avoid trimming it in a moment of forgetfulness.